San Diego Mayor Bob Filner recently announced he's going to undergo therapy for his alleged sexual harassment behavior. At least seven women have accused him of unwanted sexual advances. This is a second post regarding Mr. Filner's Forehead - however today article showcases a key aspect common to one variety of an insincere smile. 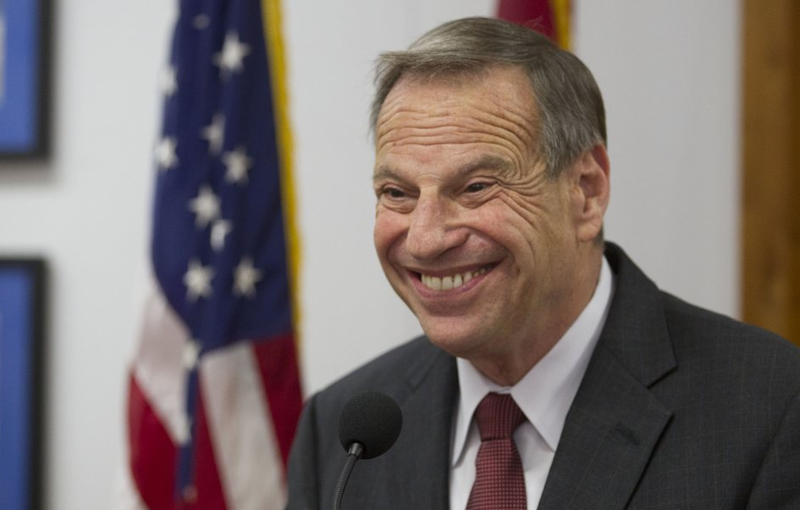 Note Bob Filner's contracted forehead muscles. The deep furrows are evidence of this and it is important to distinguish these from passive forehead wrinkles that most everyone has to some degree after middle age. There is no mistaking the dynamic and dramatic example in the above photo though. Whenever the forehead is actively contracted the smile is NEVER a sincere one. Never. Regardless what the mouth looks like or if the eyes are also consistent with smiling. Always look to the forehead and make sure it is relaxed with no dynamic contraction present. If it is, it means that in that moment - sincerity is NOT present. Another important distinction to remember is that EVERYONE displays false smiles. These are also known as social smiles. This does NOT mean that the person as a whole is insincere - but it means in that moment at least, the person feels the need to "push out" a fake emotion of joy. As pointed out previously however, chronic displays of a contracted forehead muscles carries significant diagnostic weight as to an overall insincere personality pattern. Sincerity Secret # 55: Sincere Smile or is it Insincere?